Bromeliads are unique plants that make gorgeous additions to any indoor plant collection. They are pretty easy to grow indoor plants, but caring for bromeliads is quite different than caring for your average houseplant. Don’t worry, bromeliad plant care isn’t difficult, it’s just… well, different. If you’re lucky enough to live in a tropical climate where the temperatures never get below freezing, then you can grow bromeliads outside in your garden! The rest of us have to stick to growing bromeliads indoors. Bromeliads make wonderful flowering houseplants that grow well in low light conditions. 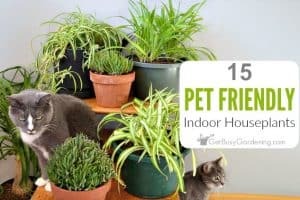 They are also pet friendly houseplants that are safe to grow if you have cats or dogs! Woohoo! There are tons of different varieties of bromeliads, and many of them will grow well indoors as houseplants. I love the variety of colors that bromeliads add to my houseplant collection, and they are very unique indoor plants. Like orchids, bromeliads are epiphytic, which means they grow on trees, rocks or other plants, and they get their water and nutrients from the air and rainwater. In many ways, caring for bromeliads is similar to orchids, so if you already have orchids, bromeliad plant care will be a snap! Unlike most plants, they don’t get their nutrients from their roots, their roots are what they use to attach themselves to the growing support. Some types of bromeliad types can be difficult to grow as houseplants, because they like humidity and can dry out too quickly in the average home (especially during the dry winter months). But for the most part, bromeliads make great, easy-care houseplants. Bromeliads are slow growing plants, and most of them will only bloom once in their lives. They are also short lived plants, and most bromeliad varieties will die after flowering. Sad I know, but they usually have lots of babies before they die so you’ll get even more plants out of the deal (but more on that later). Many people think that the large colorful growth that makes bromeliads so popular is the flower, which is a common misconception. But that is the flower bract, and not the actual flower. Bromeliad flowers grow out of the floral bracts. Some bromeliad flowers are large beautiful spikes, and others are tiny and insignificant. Many people are confused when their bromeliad starts to flower, since they thought the flower bracts were the flowers all along. Another common question I get is “how long does it take for bromeliad pups to flower”? Bromeliad pups have to grow to full maturity before they will bloom. So, depending on the variety of the plant, it’ll likely take 1-3 years for the pups to reach full maturity. 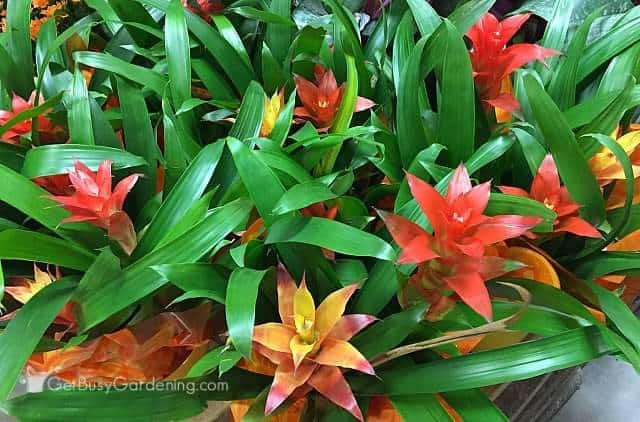 If you’re new to growing these tropical beauties, you’ll find that bromeliad plant care is much different than any other plant you probably have. Since they take up nutrients and water through their leaves, you’ll need to take special care in watering, feeding, and potting your bromeliads. 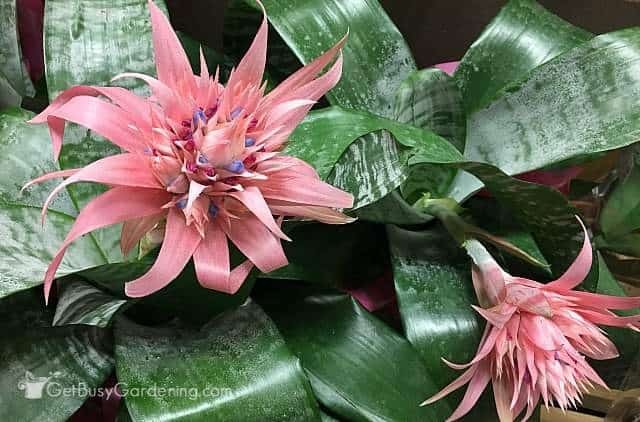 One thing that’s different about bromeliad plant care than other plants is that you don’t want to water your bromeliads through the soil, instead you should keep their center cup filled with water, and their soil dry. As long as there’s fresh water in the center cup, your bromeliad will be happy. It’s also important to keep the water in the cup clean and fresh, you don’t want stagnant water sitting in the cup. Dump out the water and refresh it every week or so to keep the water from going stagnant. Also, be careful about the type of water you use on your bromeliad plants, because they are very sensitive to the chemicals in regular tap water. Using tap water on bromeliads can damage or even kill the plant. Rainwater (or melted snow warmed to room temperature) or filtered water are the best types of water to use on bromeliads. Bromeliads like humid air, so consider misting your plants on a regular basis if the air in your home is dry. You could grow your bromeliad houseplant in rooms that are more humid, like a bathroom or in the kitchen close to the sink. You could also run a humidifier near your bromeliads during the winter to help keep the humidity level consistent in the room. An indoor humidity monitor is handy to help you give your bromeliads the perfect amount of humidity. When it comes to light, bromeliads aren’t super fussy, and they make great low light indoor plants. Direct sunlight can burn the leaves, but some bromeliads grown indoors can suffer it they’re not getting enough light too. For best results, put your bromeliad in a spot where it gets medium to bright light. A small grow light helps a ton if you don’t have any natural light. Technically speaking, bromeliads don’t need to be potted in soil at all. They don’t get their water or nutrients from the soil, their roots are only used to hold onto trees, plants or other growing supports in the wild. Bromeliads could be mounted on logs, wood or rocks, or they can be grown in a pot. 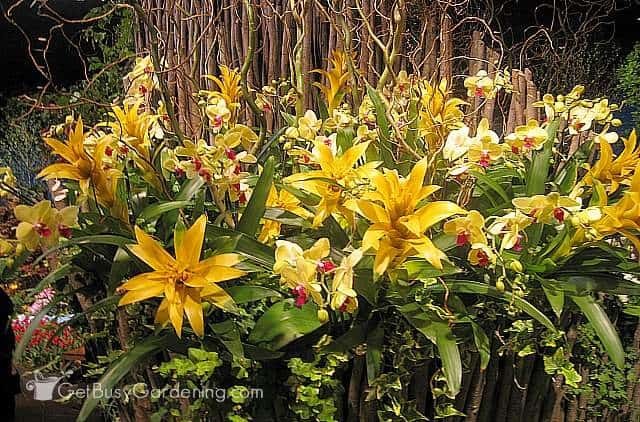 If you prefer to grow bromeliads in pots, you can buy bromeliad soil mix, or use an orchid soil mix. Otherwise, you can make your own bromeliad potting soil. The best homemade bromeliad potting mix would be a fast draining soilless mix made with sphagnum moss, bark, perlite and/or other coarse organic materials. If your potting bromeliads in regular potting soil, take care to keep the soil dry or your bromeliad could rot. Bromeliads don’t really need to be fertilized. 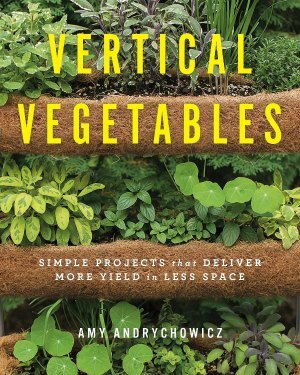 They are naturally slow-growing plants, and fertilizer isn’t going to help them grow much faster. But, like any plant, bromeliads will benefit from getting some added nutrients – just make sure to fertilizer sparingly. Also, be sure to always use a natural organic liquid fertilizer, because bromeliads are very sensitive to chemical plant fertilizer. 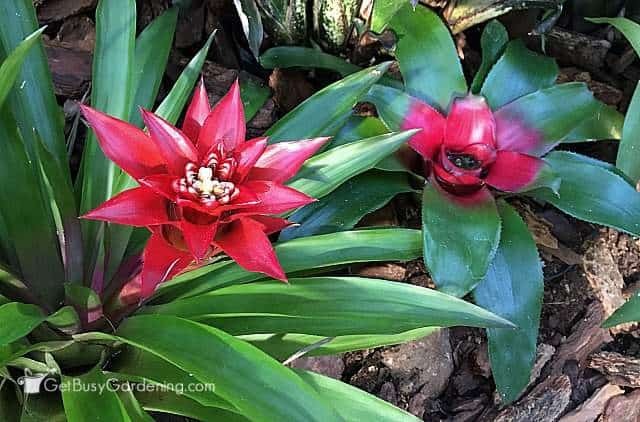 If you’d like to fertilizer your bromeliads, use a half strength liquid organic houseplant fertilizer or compost tea during the spring and summer (don’t fertilizer bromeliads during the winter). Like I mentioned above, most bromeliads will eventually fade and die after they’re done flowering. This is a sad fact of life, but the good news is that they usually have lots of babies before they die. 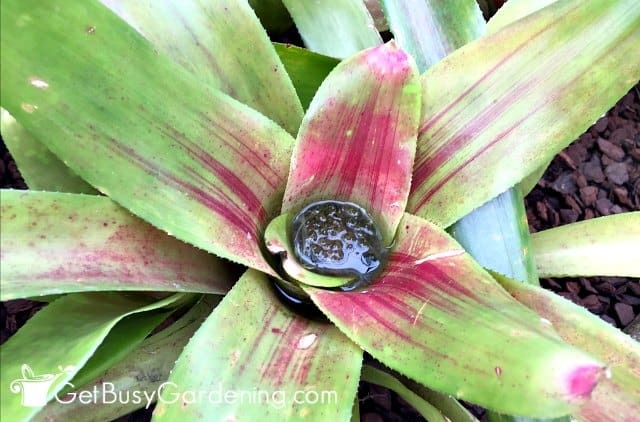 Bromeliads that are coming to the end of their life will grow tiny baby pups around the base of the main plant. 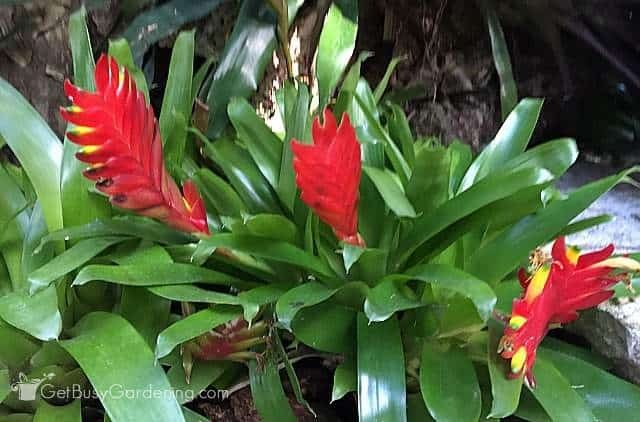 To propagate your bromeliad, you can simply remove these pups from the mother plant, or just allow them to grow after the main plant has died back and been removed. 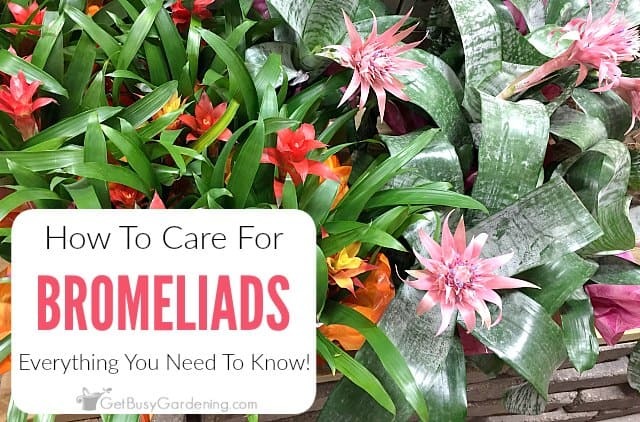 Bromeliads don’t usually have too much trouble with bugs, but houseplant scale or mealybugs can be a problem, so be sure to keep an eye out during your regular bromeliad plant care routine. Organic neem oil is a natural insecticide that is very effective at getting rid of these nasty houseplant pests. Horticultural oil or organic insecticidal soap also works great. 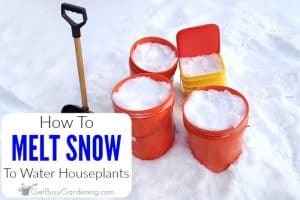 You can also use a cotton swab dipped in rubbing alcohol to kill mealybugs and houseplant scale on contact, and to remove them from the plant. Never use chemical pesticides on houseplant pests because they can build up a resistance to chemicals, making pest problems worse, and chemical pesticides can also damage your bromeliad plant. For the most part, you don’t need to worry about pruning your bromeliad plants. Dead or dying leaves can be pruned off at any time. Trim off the flower spike after it dies back, but keep the plant growing as long as you can so that it will have plenty of time to grow pups. Once the main plant dies back, you can prune it out and leave the pups growing in the pot. Otherwise, you can remove the pups from the dead mother plant, and pot them up on their own. Bromeliad flower turning brown, or the color is fading – Once the flower bract (what most people refer to as the flower) starts to turn brown or the color fades, it’s a sign that the plant is done blooming and is starting to die, which is a normal part of the bromeliad life cycle. Unfortunately, there’s nothing you can do to save the plant once it starts dying. But, before you toss it out, be sure to check around the base of the plant to see if there are any bromeliad pups growing. I so, you have lots of new plants to replace the dying one! Leave the pups growing, and trim away the mother plant once it has completely died back. Small, hairlike blossoms growing out of the flower – This actually IS the flower! What most people refer to as the bromeliad flower is the floral bract, and not the actual flower. Many types of bromeliad flowers are tiny and insignificant, and can look weird once they start to grow – which can be alarming if you’ve never seen a bromeliad flower before! 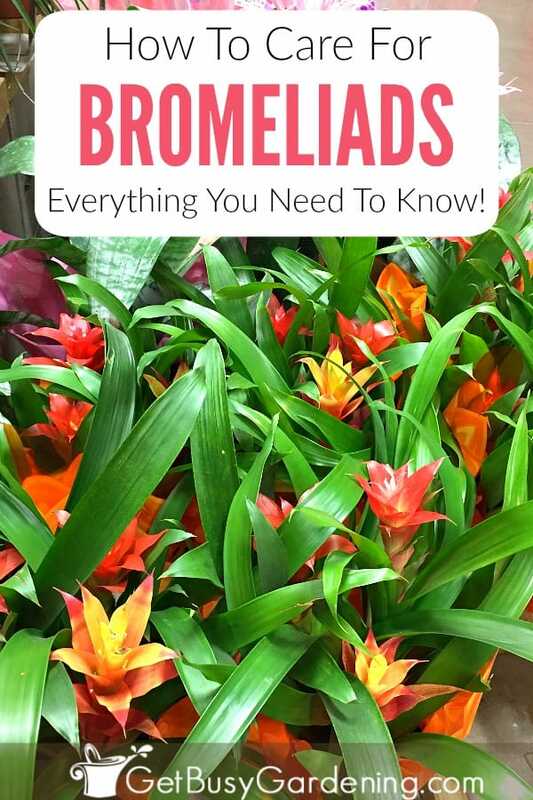 If you’re wondering where to buy bromeliads, you’re in luck! 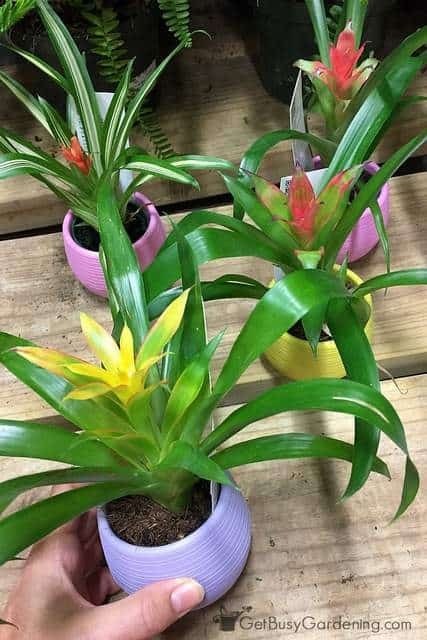 They are one of the most common plants sold in the houseplant section at most garden centers, or you can buy bromeliads online. If you’re thinking about buying a bromeliad, I recommend giving it a try. They look like they’d be harder to grow than they actually are, and bromeliad plant care is pretty easy once you get the hang of it! 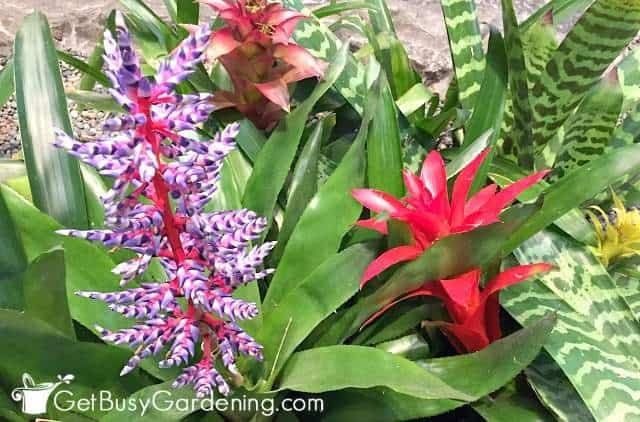 Do you have any bromeliad plant care tips to add to this list? Please share them in the comments section below. Thank you for the tips..I love these plants, but every one that I have had I have murdered..
How long does it take for them to “flower”? How do I know when they’ve flowered? Mine looks like it is starting to die and the middle section actually completely disconnected itself from the stem… I went to trim some leaves and it came right off. Wow, that sounds amazing! I’m very jealous of your indoor pool surrounded by an atrium. The bromeliad with the pink flowers is called Aechmea Bromeliad. I’m sorry, but I’m not sure what the other one is called. I had my bromiliad for a month, maybe more. It’s in daily filtered sunlight. I noticed that the color is not as vibrant. In fact I t is faded. But not the leaves. Only the red flower is very faded. WHat did I do wrong? I watered the soil. I did not know not to. You didn’t do anything wrong! It sounds like the flower might be starting to die, which is part of the normal lifecycle of bromeliads. If that’s the case, there’s nothing you can do to save it as the entire plant will eventually die after it flowers. 🙁 Look to see if there are any babies growing out around the base of the plant that you can propagate. I have a bromeliad plant that I love. But recently it has started growing small hairlike blossoms out of the flower. What does that mean and how shall I treat it. Please reply. It sounds like the flowers are opening to me. The large colorful spike you see growing on your bromeliad is the floral bract, and not the actual flower. Bromeliad flowers are tiny and they grow out of the floral bracts. I live in the Adelaide Hills in South Australia. We have a Mediterranean climate and I have been growing bromeliads outside for the last few years. They are all going gang busters. I’m so pleased as I’ve never been a real green thumb but these plants are doing really well. They are nearly all sending out pups and I’ve been sub dividing some and replanting them. I now have two fern and bromeliad gardens – lush, green and with splashes of colour. I was given 3 beautiful bromeliads in a pot as a present. I harvested and replanted the pups, which are growing slowly. I am in the northern hemisphere. I have one inside with plenty of light; the rest are outside in the shade When can I expect the pups to flower? It is the beginning of October now, but no sign of flowers. I water the cups with distilled water. Your bromeliad pups have to grow to full maturity before they will bloom. So, depending on the variety you have, it’ll likely take 1-3 years for the pups to reach full maturity. Do these plants harm cats? According to the ASPCA database, bromeliads are safe for cats. 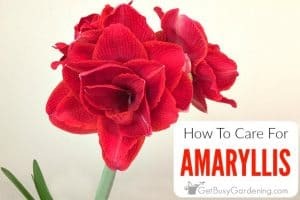 If the tips are turning brown, it either means your bromeliad isn’t getting enough humidity, or that it has finished flowering and is starting it’s natural process of dying after flowering. My plante as new shuts coming out the sides , what do I do with them.? This is how you propagate bromeliads. Once the mother plant dies, you can remove the side shoots (aka: bromeliad pups or babies), and pot them up in new pots. Or you can just leave the baby bromeliads in the current pot, and prune back the dead mother plant, and they will continue to grow on their own. Then, you can pot them up once they grow a bit larger if you want to wait. where do I water my bromeliad? what cup are they talking about? 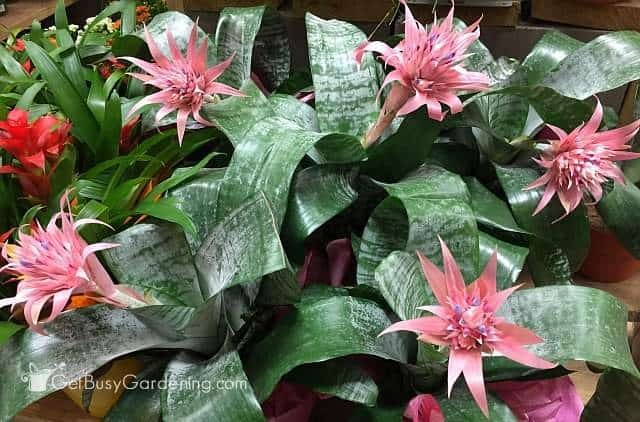 If you go to the section in this post titled “Bromeliad Plant Watering Tips”, there’s a photo at the end of that section that shows you a close up of the center cup. If your bromeliad is flowering, then it may look different. The cup would be at the very bottom of the flower spike. I am new to bromeliads and was told that sun until around 11am helps enhance colour. Is this true or are they better off in the shade? What are the signs of too much sun? If bromeliads get too much sun, the color will fade and it could also start to burn the leaves. Some varieties can handle more sun that others, so it depends on the type you’re growing. I have picked the pink flower of the Brumeliad and would like to know if I can break it in pieces and try to propogate them. Will this work? No, it will not work. The bromeliad flower cannot be propagated, only by removing the pups around the base of the mother plant. I am totally confused about this plant .I had no idea they were so much trouble to grow ,I would never have bought it.Thank You for the info. Have gotten so many of these throughout the years (Mother’s Day, ones I couldn’t resist that were so colorful at our local nursery). But I had always thrown them away when they started to brown until I picked up a “dying one” that still had plenty of green foliage from lowe’s For $2. Started researching and didn’t realize they are truly the plant that keeps on giving with its pups! So now I’ve been researching like crazy over the last several months and must say your write-up is one of the best I’ve read! Thanks for the tips and information and for what you are doing for thenplant community. Just subscribed to your YouTube channel and looking forward to seeing you continue to grow! Oh wow, thanks so much for your nice comment!! 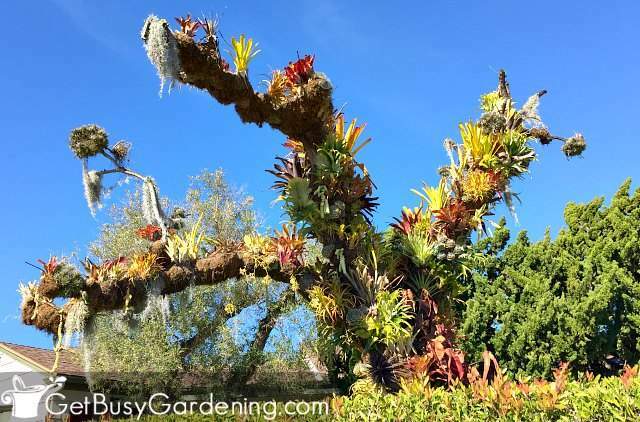 I love to hear that you’re hooked on growing bromeliads! So many people toss them out like you said (I used to too! ), but they are such wonderful and fun plants that you can keep growing for years! I live in a drought area with water restrictions and we have been encouraged to recycle our shower/bath water for watering plants. i guess from reading the above, that this would kill my bromeliads and that I should rather water with the rain tank water. Just checking as I have my newly planted bromeliads which were gifted to me in amongst plants which are not affected by the recycled water. I would then have to make a special effort with the bromeliads. Your advice and confirmation please. Thanks! Yes, I would stick to using rainwater for watering your bromeliads. I just bought a beautiful bromelaid .I watered it with tap water not knowing how bad it is for the plant. Also, watered the soil not the cups.. PLEASE tell me that all is not lost. How do I empty the bromeliad cups? When I try, I wind up with bark everywhere. Love your site. Thank you! I’m trying to raise my first pup, so your advice is much appreciated. Congratulations on your beautiful garden. I used to live in Minnesota, so I know zone 4 can be a challenge. From a cleriance cart at Kroger the soil is saturated. And it’s very faded with holes in the leaf. Any suggestions. Also would it be happy in a bathroom with artificial light and some light that filters in from the other rooms? Congrats on your new bromeliad. Allow the soil to dry out and don’t water it from the bottom, just fill up the center cup. Read the “Bromeliad Plant Watering Tips” section above for more details about how to water bromeliads. Yes, they do well in low light. Just be sure the bathroom doesn’t stay too dark. A dark bathroom with light filtering in from other rooms won’t be enough unless it’s super bright light. Also, from the way you describe your bromeliad leaves, the plant may have already flowered. If so, then be sure to watch for babies growing around the base, because eventually the main plant will die back. Thanks, I’m so glad to hear you found this article helpful! My guess is that the bromeliads that are dying have already flowered. But it could also be caused by the soil being too wet. They need to have the center cup filled for water, and they also love humidity. But the soil should be kept dry. 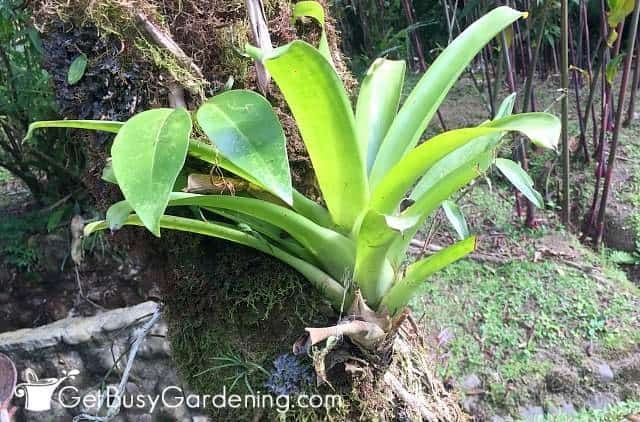 Bromeliads are epiphytic though, so in your climate, you can mount them on a log or tree rather than planting them in the dirt if you want to give that a try. As for the ones that have rotted or are pulling away from the stalk… unfortunately there’s nothing you can do to save them. They have likely already flowered and are dying (which is their normal lifecycle). But they may end up growing babies around the base. So I would just leave them and see what happens (you can prune off the dead leaves if you want). Good luck! After it flowered, my bromeliad was doing well, but a stem and leaves just fell over this morning. It happened to another stem a few weeks ago. What can I do? Unfortunately bromeliads die after flowering, so there’s nothing you can do to save them. This is just their normal lifecycle. 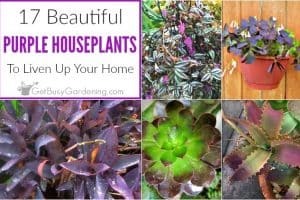 However, you can prune back the dead flower, and the leaves as they start to die, and leave the plant to see if any new babies will grow out of the base. That’s how they reproduce. Good luck! Thank you for your ideas. Should I just cut off the leaning-over-stem? Is there no way for it to stand up again? The leaves are bright green and healthy. Yes, if the bromeliad flower has faded and died, you can cut it back and leave the rest of the plant growing. Eventually the leaves will start to fade and die too, and you can prune them out as they start to die. But leave it growing as long as you can so that it has a good chance to grow babies around the bottom. Thank you for your help. I did more research and found out I have a Zebra Plant. I’m not sure if that is a Bromeliad. I’ll keep learning about the plant. Thank you again. This is a very helpful website. You’re welcome! There are a few plants with the common name ‘Zebra Plant’, and one of them is a type of bromeliad. So it sure could be. If it has a center cup that holds water, then it probably is a bromeliad.